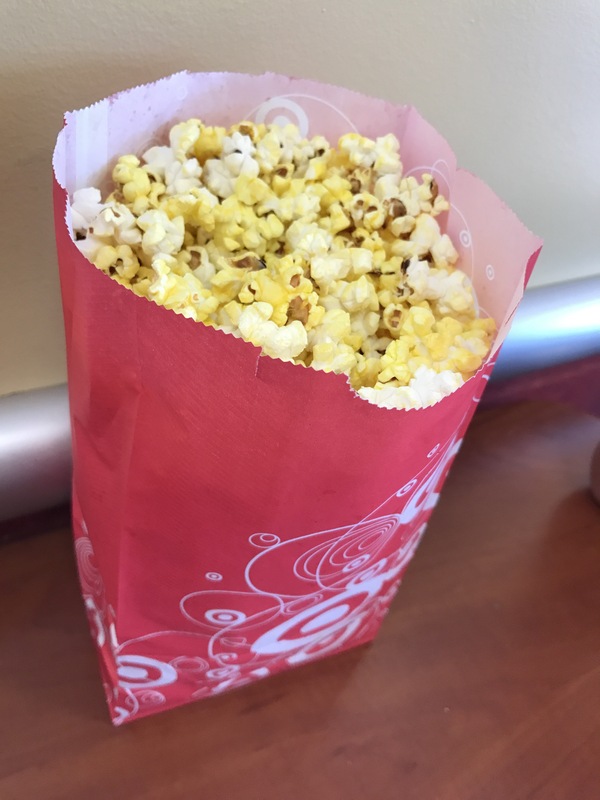 What is it that makes the smell of popcorn almost intoxicating?? Especially the popcorn at Target! I know it’s the best marketing ploy around paying with your senses!! And yes, I buy myself a bag almost every time! Here’s a bonus as to why they’re still okay the next day… Target uses coconut oil!!!! And yes, for $0.60 more you are getting your money’s worth with the large bag! !